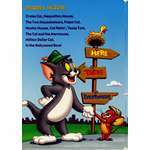 ..:: The Tom and Jerry Online :: An Unofficial Site : FREQUENTLY ASKED QUESTIONS::.. These are just a few of the questions that I have been asked. I felt that I should put them up, along with the answers, to help those that may have the same questions. 1. DO YOU HAVE _________ SOUND BYTE? All the sound bytes that I have are posted on the sounds page. If it's not up, then I don't have it. When I do get more I'll be sure to post them. 2. WHY DOESN'T THIS SOUND BYTE WORK? Some of the sounds were "mpeg" compressed with Windows Sound Recorder to keep the file size down. Windows Media Player should open it. If it can't, Media Player automatically looks for the codex and installs it so that the sound will play. 3. DO YOU HAVE ____________ IMAGE? All the images that I have are posted in the pictures section of this page. Like with the sounds, if it's not up, I don't have it. When I do get more, they will be uploaded to the site. 4. WHERE CAN I BUY TOYS AND MERCHANDISE? 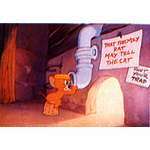 For online purchase of Tom and Jerry material check out my links page. For offline, real world, walk-into-a-store type of purchases, your guess is as good as mine. The companies that own Tom and Jerry seem to be rather stingy in marketing them. The only place that I have found anything was at a crafts store in small town, USA. They only had one thing and the store owner didn't even know they had it in the store. 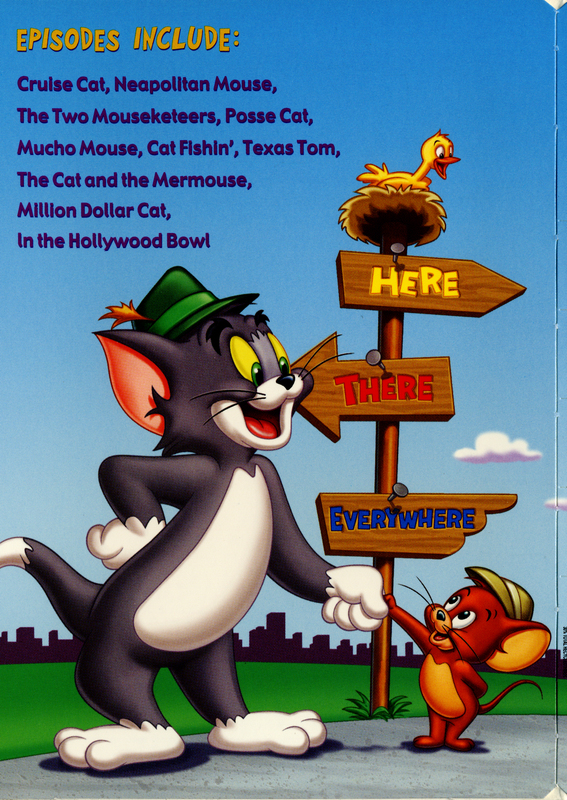 So if you find something, Congratulations on your glorious find, cuz Tom and Jerry stuff seem few and far between. 5. 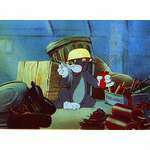 WHERE CAN I BUY TOM AND JERRY VIDEOS? I'd check stores that deal with selling videos, like a Circuit City or Best Buy if you live in the US. For online purchases, check Amazon.com, BestBuy.com, or go to my links page and you will find links to other places online that sell videos. 6. I KNOW SOMEONE WHO WOULD LOVE RECIEVING A LETTER FROM TOM AND JERRY? The answer to this is NO. 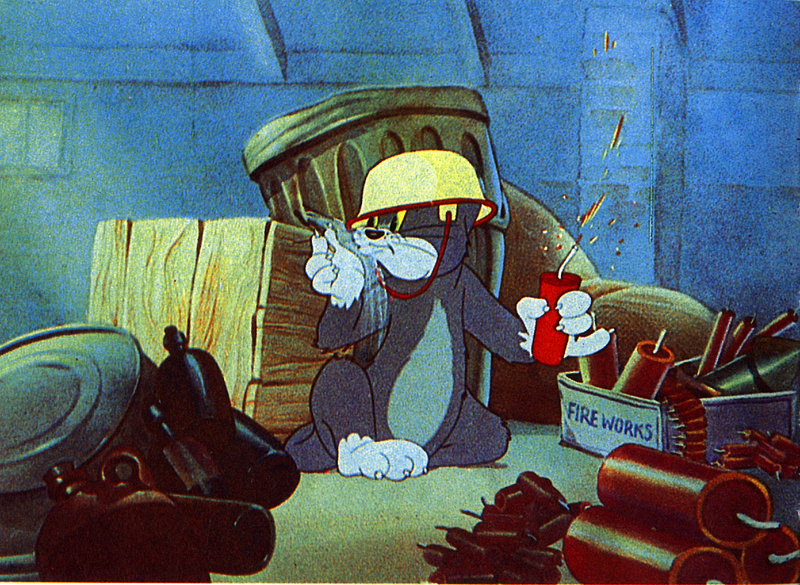 I have no rights to Tom and Jerry. As much as I would love to make some fans day by writing a letter saying that I'm Tom and Jerry, I will not do it. 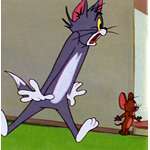 I have no legal right to pass myself off as Tom and Jerry. This is a fan site, in no way affiliated with Turner Entertainment. 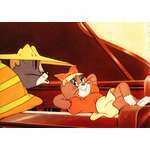 Cartoon Network has an excellent page devoted to Tom and Jerry where you can send Tom and Jerry an email. 7. CAN YOU SEND ME AN IMAGE? The answer to this is NO, however I may make exceptions. I make it a practice not to send images that's why I have a picture gallery. Download to your heart's content. If it's not in the gallery I don't have it. What are the exceptions...that's for me to decide. Check the Picture Gallery first, before you email me! 8. CAN YOU SEND ME VIDEOS/DVD'S/MOVIES IN MPEG FORM? The answer to this is NO, NO, and NO. I make it a practice not to send images and sounds out and this applies to movies. I will not ship out DVD's since I am not running a store. If you want a DVD, there are many online retailers that you can order from. As for movies in MPEG format...lawyers tend to frown on this sort of thing, so don't ask, just get the DVD's. 9. CAN YOU SEND ME DVDs or VHS'? If the studios send me anything to give away, THEN I will do give-ways. But, as it stands, I do not get anything from the studios; so therefore, I DO NOT send out DVD's or VHS's or any other Tom and Jerry product. I run a fan site! If you want a DVD/VHS, there are many online retailers that you can order from. 10. I REMEMBER SEEING THIS CARTOON ABOUT A FUTURISTIC HOUSE AND FUTURISTIC AUTOMOBILES? 11. 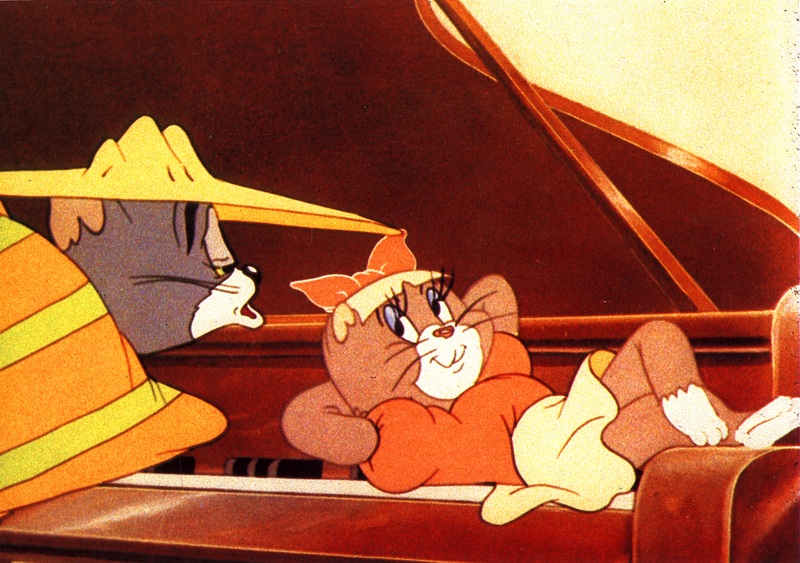 WE WOULD LIKE TO USE TOM AND JERRY FOR PUBLICATION, CAN WE HAVE YOUR PERMISSION? In a word: NO. I do not own these characters, therefore, I CANNOT give permission of their use. Please contact the legal departments of Turner Entertainment and/or Warner Brothers to gain the appropriate usage. 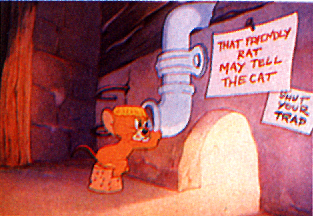 Please Note that "Tom and Jerry" are TM and copyright Turner Entertainment (where the rights stand today via Warner Bros). All rights reserved. Any reproduction, duplication or distribution of these materials in any form is expressly prohibited. 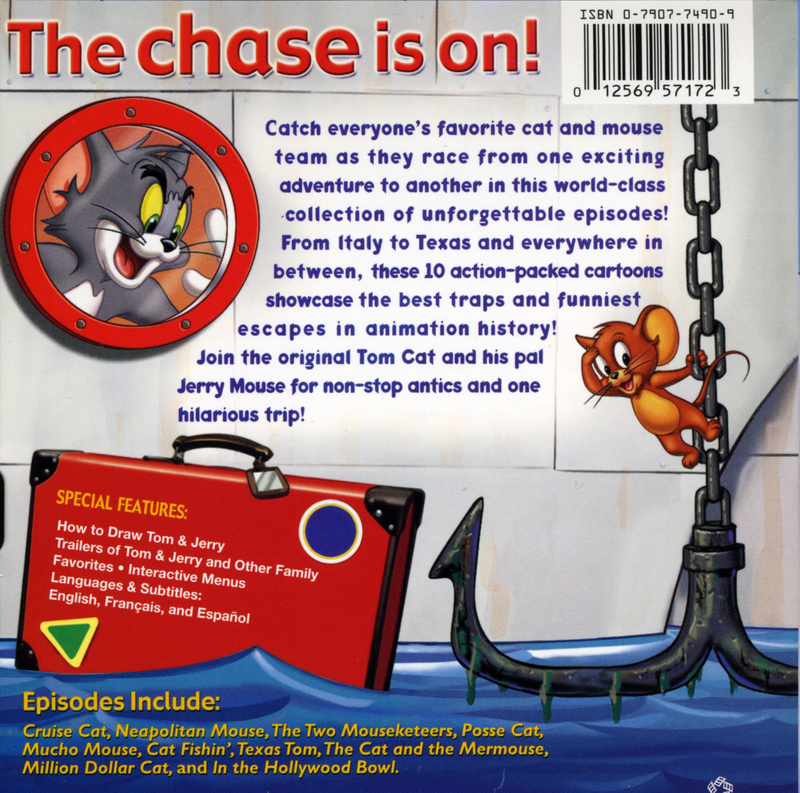 TomAndJerryOnline.com is a fan website. This website and its contents are NOT authorized by Turner Entertainment, Warner Brothers or their affiliates. 12. WHERE CAN I GET TOM & JERRY PARTY SUPPLIES? There are only two places that I have been able to find Tom and Jerry party supplies. Both places are in Europe and it is the following websites: from the Netherlands, Fun & Party Feestpakketten and from the UK, Kids Party Shop. There are no other places that I know of that have party supplies. 13. WILL YOU JOIN MY SOCIAL NETWORK? No. As is, I can barely keep up with the various people I know outside the internet. 14. CAN YOU TELL ME THE VALUE OF THIS TOM AND JERRY TOY/ART/COLLECTIBLE? No, I cannot. I'm not an appraiser of antiques or collectibles, I'm just a big Tom and Jerry fan. The best way to find the value of your collectible is to contact either an appraiser, an antiques dealer, or a collectibles publication. 15. 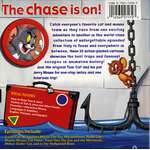 DO YOU HAVE INFORMATION ABOUT THE DVD RECALL FOR THE TOM AND JERRY SPOTLIGHT COLLECTIONS? Please don't take this page as if I don't want to answer questions. If you do have questions, then by all means email me, I'll try to answer your questions as best I can.